Most of our body is made up of water. Even the surface of the planet is mostly water. Water is everywhere! However, that doesn’t mean we should just drink any kind of water. We still have to make sure it’s clean and safe. And there’s no better way to do that than having your own personal water source. 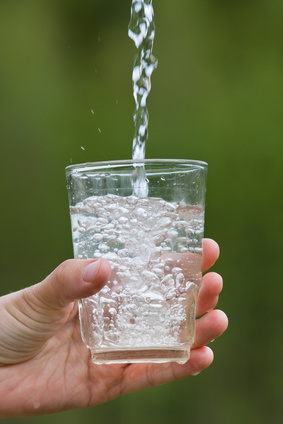 When you have a water well installed by a well-drilling company, you will notice an improvement not just in the water quality but also in your health. If you think about all the ways water applies to your health, you’ll be grateful to have a water well of your own. Here are three ways your health can improve if you have a personal water well installed for your household. A variety of germs and bacteria rummage around in our water supply. Many of us who eat a balanced diet have strong immune systems that know how to fight off the bad stuff, but we aren’t invincible. That’s why it’s important to have a water source with a reliable filter. It will also get rid of the harmful metals and chemicals that can damage our systems before it even reaches the tap. A professional well-drilling company will make sure the water sent from your well to your home is properly filtered so your health is well taken care of. No one wants to take a bath in harmful toxins. Here’s another area where a filter can help. With clean water flowing through your pipes, you’ll always have the opportunity to detox in a nice, hot bath. While you’re relaxing in that bath, you’ll be happy to know that you and your household are using clean water for your daily needs because you have a personal water well installed. It’s common practice to drink bottled water bought at the store. What few people know is that if you leave a bottle of water out or unrefrigerated, it can put your health at risk. Many companies bottle water in a type of plastic that can release a harmful substance under certain conditions, such as leaving it out in the sun. While the plastic bottle is usually harmless, the substance it releases has been linked to cancer. Instead of putting your family at risk, use the safe water from your personal water well instead. And place any extra water you need in a container that is safe to use, such as glass, even if you leave it out. Other times, your plumbing can stress you out and rack up another bill you don’t want to deal with. When a professional well-drilling company provides you with a personal water well, you can say goodbye to bills. With that source of stress taken care of, you can focus more on what matters. Looking for a Capac well driller? Contact Ries Well Drilling Inc. today to boost your health as soon as possible with your own water well. 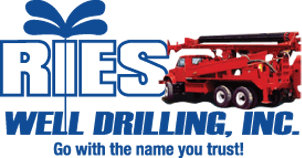 Ries Well Drilling is headquartered in Washington Twp and provides water well services in the St Clair County area. Will My Water Well Freeze Over This Winter?